It seems like Christmas is only just over when suddenly Easter eggs go on display in the shops! I always want to cut down on the number of chocolate eggs arriving in my home, especially as Easter is very close to both my kids birthdays, my birthday and St. Valentine's Day. Our house isn't a chocolate-free zone at Easter, but I do try and find some ways of reducing the amount of chocolate that my chldren receive. Think of the effect on their teeth for a start! 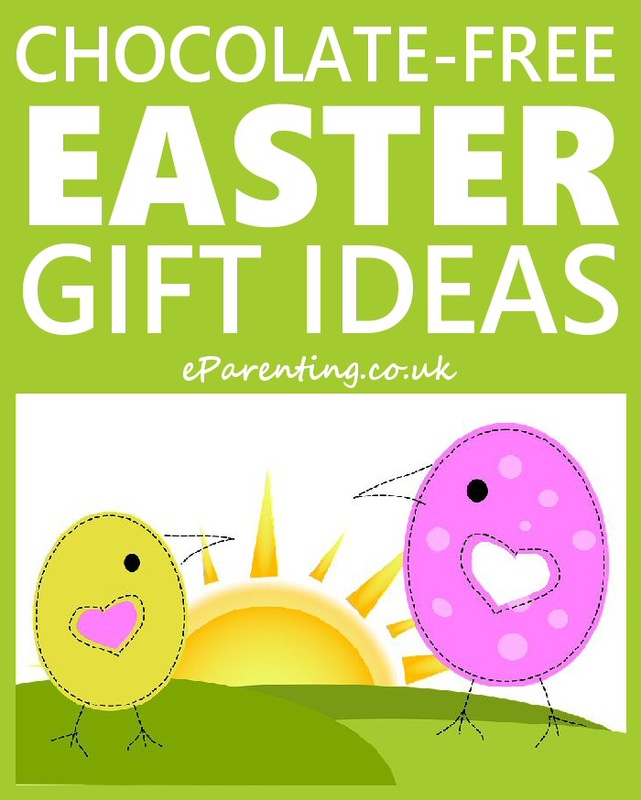 So, here are some alternative Easter gift suggestions which are relatively healthy and non-calorific - think eggs, think chicks, think rabbits, think bouncing and energy!! These ideas would also be brilliant for children who cannot eat chocolate for any reason. Nothing says Easter like Peter Rabbit! 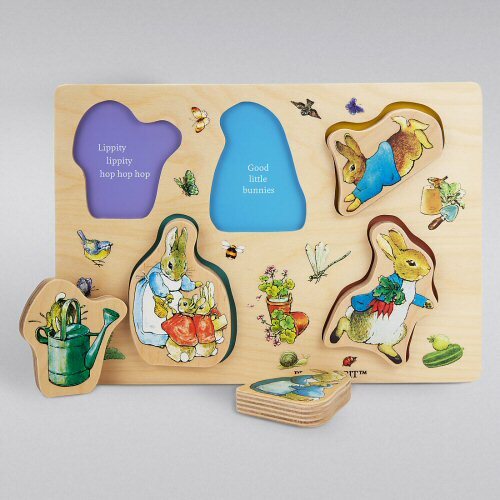 Beatrix Potter's adorable character appears on this lovely puzzle along with his equally naughty brothers! From Marks and Spencer. 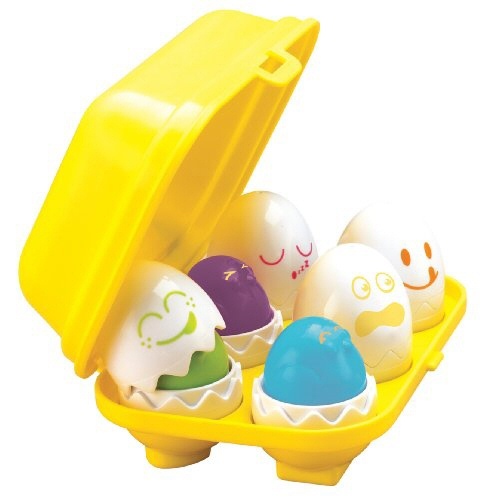 These are an absolute classic children's toy, suitable for any of little your chicks over 6 months old, so perfect for someone who is too young for a chocolate Easter egg. 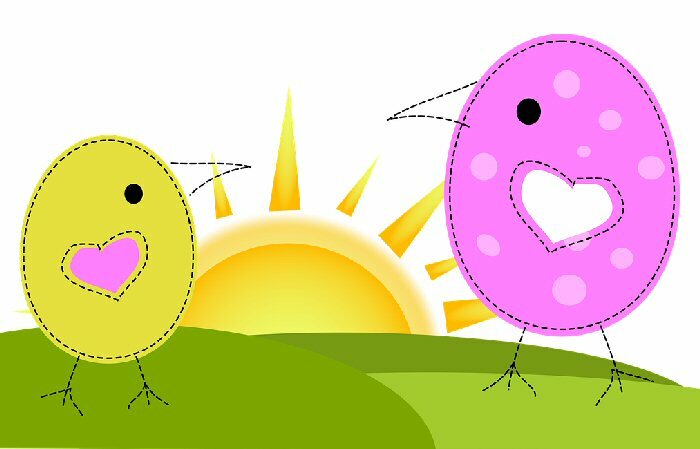 You crack them open the eggs to reveal brightly coloured chicks, press down on the chicks and they'll cheep for you and they double up as a fun shape sorting game too. Cheep cheep! 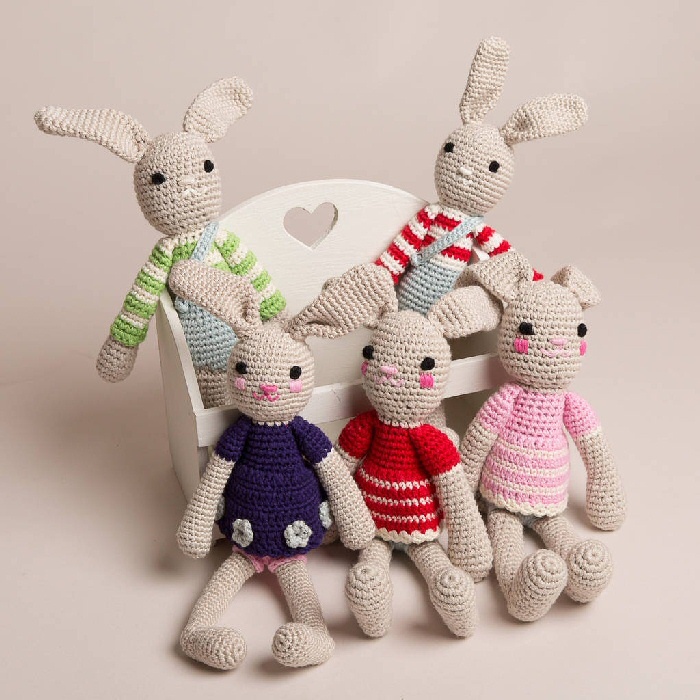 I do like a bit of crochet, and this gloriously colourful striped bunny toy is from notonthehighstreet.com, so it is from a UK small business, in this case All Things Brighton Beautiful of East Sussex. Paw Patrol is the hugely popular Nick Jr and Milkshake TV animated series, where dogs train to carry out daring rescues! 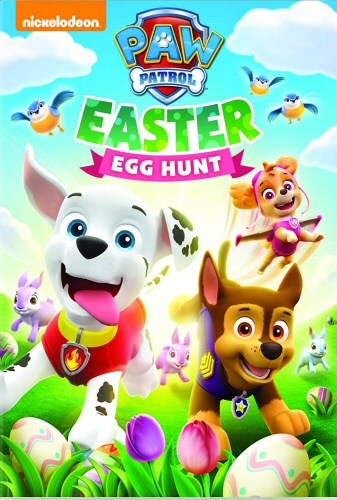 This Easter they have a special DVD which is released on 13th March with 7 new episodes of Paw Patrol on it. 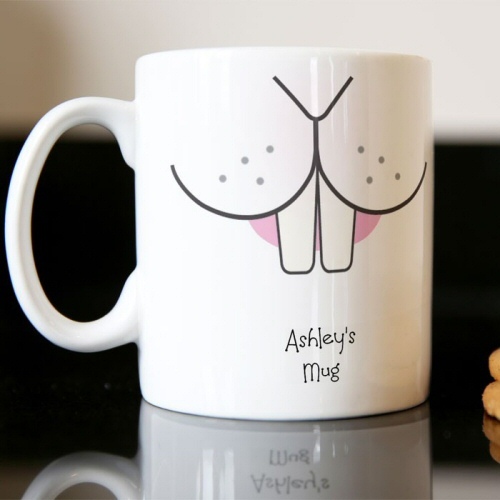 Have an Easter cuppa - or any other drink - in this cute mug from Getting Personal. You can have any name put on it and it also comes in a heat change option. I've had a number of things from Getting Personal, and have been pleased with their speed of delivery and the quality of the items that I've bought. This cute kit is from John Lewis. 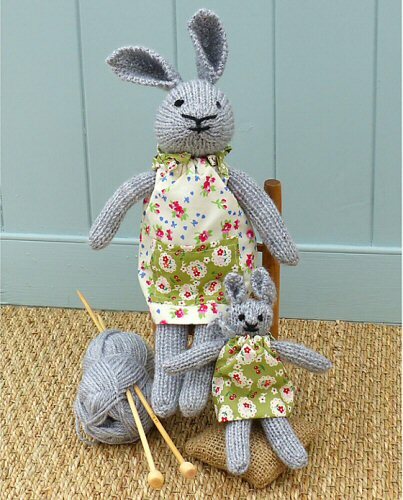 You could give the kit to a creative older child, or knit the bunny yourself as a gift. Everything is supplied, including thread, yarn, fabric and stuffing. 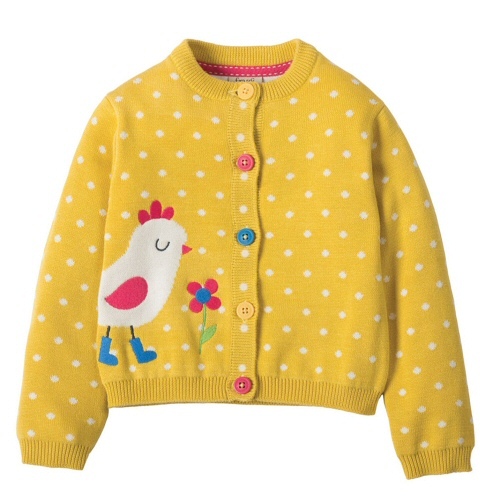 This adorable little chick cardigan is from Frugi who specialise in organic clothing for babies and children up to 10 years old. It's made from 100% organic cotton and will look fabulously cheerful for spring and be perfect for cooler summer days. Colouring is THE hottest trend of the moment, so this huge personalised colour-in Easter poster from notonthehighstreet.com would be a fabulous gift for a colouring fan. 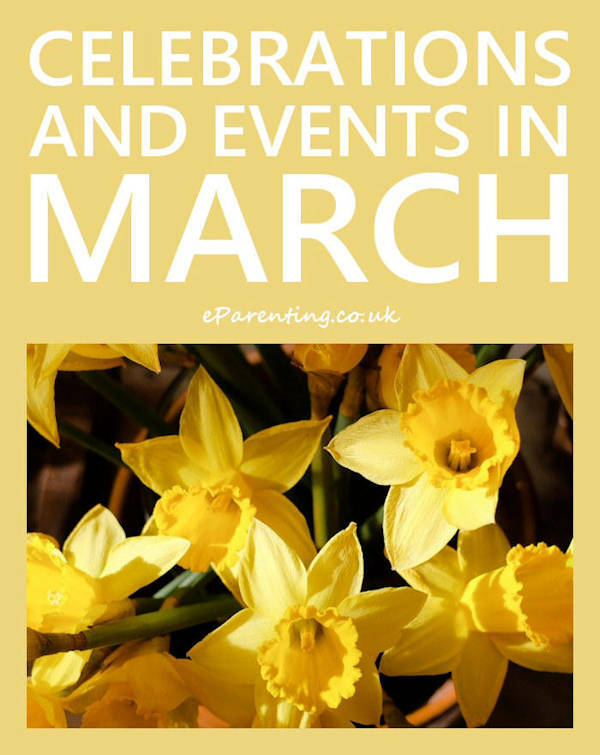 This would make a great group activity for an Easter party, and would keep the kids really busy in the school holidays! 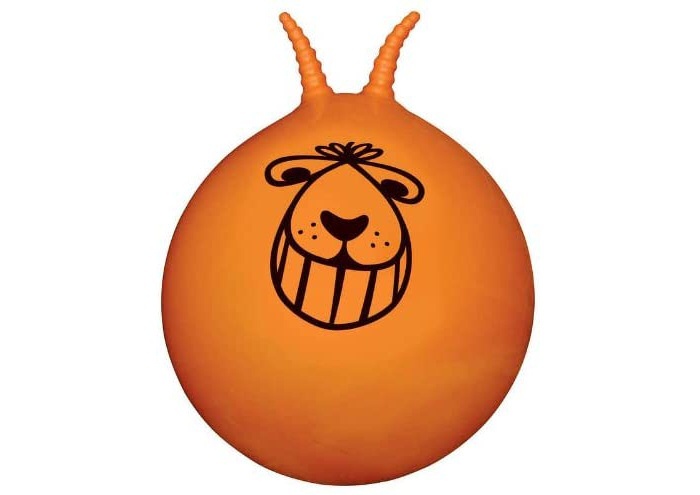 Bounce off those excess chocolate calories with this old-fashioned space hopper. Well, it is sort of egg shaped! This '70s-tastic version is a replica of the one the kid down the road had but would never let you have a go on. Now you can fight over it with the kids. 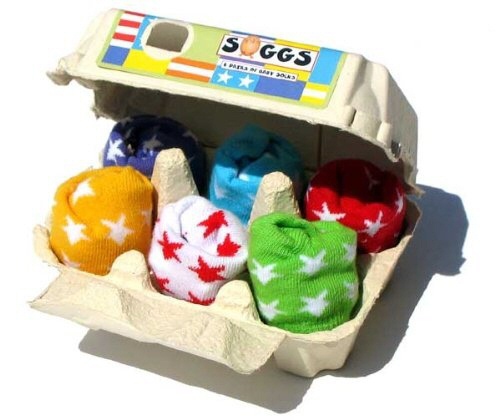 These adorable baby socks are packaged in an egg box and come in a choice of designs - stars, stripes, bright colours or even rockstar socks! Sizes start at newborn, so again perfect for a baby who is too young for chocolate. 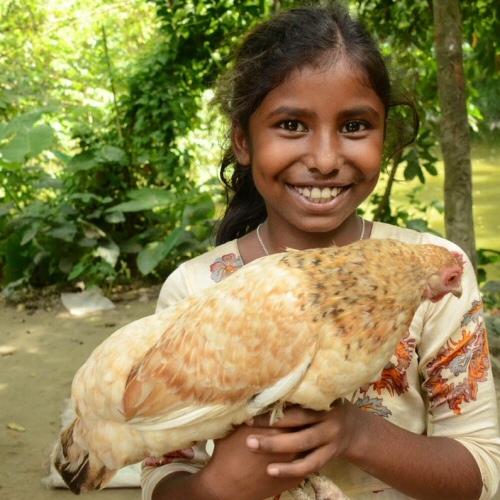 A gift of chickens will not only provide a household in one of the world's hardest places with a nutritious diet of eggs and the chicken manure can even be used to fertilize the vegetable garden. It also gives them some extra money by selling surplus eggs and reared chicks.This can be used to pay for their child's education, essential healthcare and other basic needs. For more Easter fun, have a look at our Easter Colouring Pictures or what about 10 Bunny Movies for Easter?